While most are gathered at home on Thanksgiving Day, different organizations will be serving our community instead. Our PDQ family is grateful for the doctors and nurses who are helping and healing, the police officers and firefighters who are serving and protecting and all of our friends who are working to make their communities Just Made, Better on this holiday. And this Thanksgiving we wanted to show our thanks to these People Dedicated to Quality. So, we did it the only way we know how – by serving and delivering food and dropping off PDQ gifts – to several hundred friends across 20 organizations. 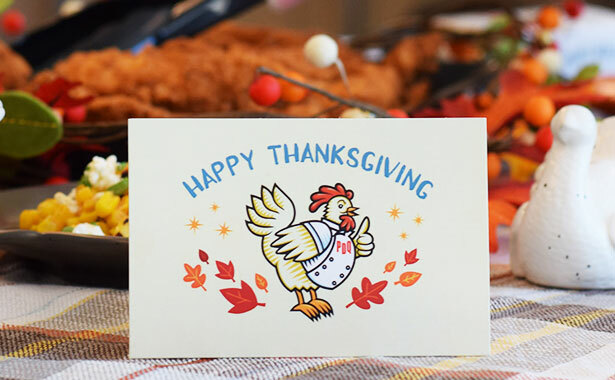 Happy Thanksgiving, from our PDQ family to yours.